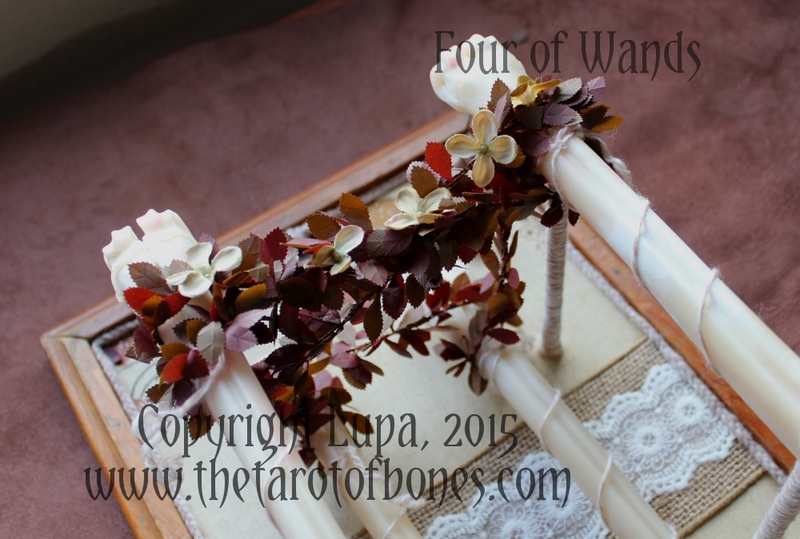 Portfolio Categories: Minor Arcana and Wands. 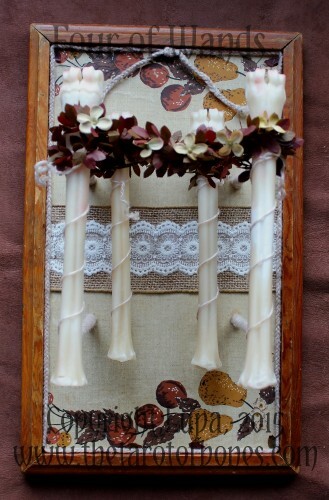 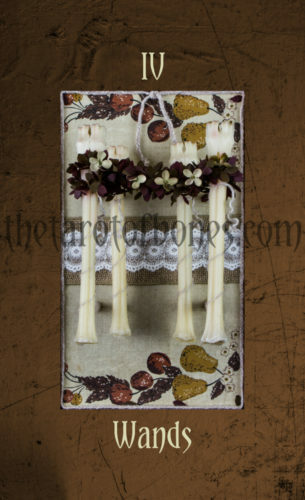 The Four of Wands represents celebration, a laying aside of differences to mark a joyous occasion as a community. Reversed it can symbolize strife within the community, forgetting that we all rely upon each other in good times and in bad.